There is one certainty in western Kentucky: if it is spring, do not place bets on the weather if the forecast isn’t perfectly sunny for a week solid. 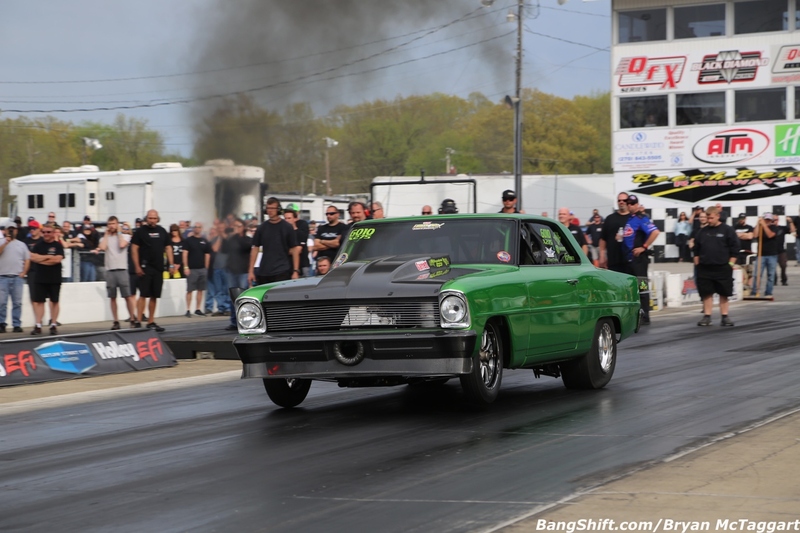 Unfortunately, weather slammed the door on the Holley EFI Outlaw Street Car Reunion VI event. After evaluating every possible option, looking over the option of waiting a day and seeing if that would work, seeing how quickly the track surface at Beech Bend could be dried out and whether or not they could get any kind of runs in, the entire OSCR crew came to a consensus and Tyler Crossnoe delivered the news: the event was going to be called due to weather. Frustrated and disappointed, he made the announcement shortly after lunch, giving the racers time to pack up and roll before severe weather came rolling through Kentucky. Since all of the classes had qualifications, the prize money was split up between the drivers who had qualified in each category. He wasn’t the only person disappointed about the race having to be called. OSCR VI had the quickest 16-car field the Midwest Pro Mod Series has seen to date, with Jason Hamstra’s Camaro sitting pretty with a 3.73 run. Ali Aryan’s roots-blown 3.61 held a record, as did Jaime Hancock’s nitrous pass and Paul Gargus’s 4.08 run in Limited Drag Radial were just some of the highlights, but overall Friday’s action was something any drag racing fan wanted to see. The temperatures were cooler still on Saturday, but the showers kept coming and ultimately, as a promoter, you have to know when to say when. OSCR VI was still a fantastic run and we wish we could’ve seen the eliminations go down, but there was plenty of action to be had for what we got. Beech Bend had the track set on kill and the racers didn’t hold a damn thing back. We look forward to next year! 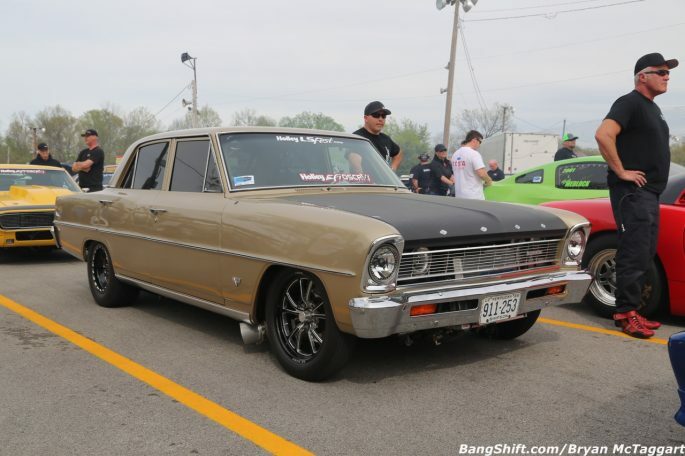 Be sure to click on a photo below and check out our last gallery from the Holley EFI Outlaw Street Car Reunion VI event, and if you missed our last gallery, CLICK HERE to check it out!